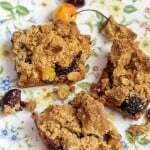 A little sweet, a little spice and a little bourbon. Just the winning combination you need for the perfect bloody mary. 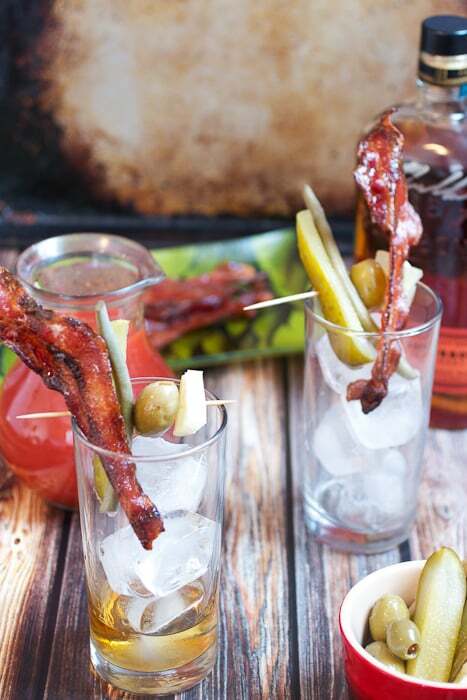 At your next brunch make up a big batch of Candied Bacon Bourbon Bloody Marys. I say it every year but it’s hard to believe another one has passed. In a matter of days we’ll be saying goodbye to 2013 and hello to 2014. 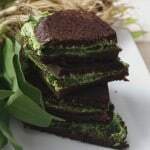 In honor of the new year to come and the one we just finished #SundaySupper is reflecting and making resolutions today. 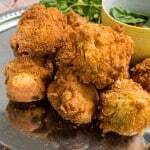 The recipe I’m bringing along for the ride is most definitely a reflection of a new culinary journey I discovered this year and perfect for your New Years Day brunch while you reflect on your own journeys. If you told me this was going to be the year I fell in love with mixing up cocktails I’d never believe you. I always had fun mixing in a little booze into my baked goods or some beer into a savory dish but my bar cart was mostly stocked with items leftover from past parties. The journey began with a decision to take part of a daiquiri competition. I had no idea what I was getting myself into but it sounded fun and I’m always up for a good challenge. The competition fell through but sitting at home making up the cocktails needed for the competition sparked the hidden mixologist inside of me. What followed up was our labor day #SundaySupper and my Cherry Bourbon Lemonade that appeared everywhere. So I learned you guys like to drink and I like to make the drinks. It’s a perfect match and one I’m looking forward to continuing. I already have some fun seasonal drinks planned for January. For now, let’s talk about our bloody mary. Bloody Marys have long been known to be the cure for a wicked hangover. The tomato juice, the spice and of course that hair of the dog supposedly have restorative powers. I for one couldn’t tell you if it works or not. What I can tell you is the combination of the sweet and slightly spicy candied bacon and smokey bourbon makes a bloody mary so good you’ll never go back to the vodka based version again. 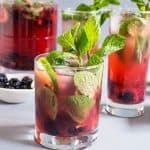 If you are making a large batch of this drink, I suggest assembling the bloody mary mix in a pitcher and adding the bourbon to your glass as you serve. 8oz tomato juice or tomato based vegetable juice. Heat your oven to 400 degrees F. Line a baking sheet with aluminum foil and place a rack on top. Spray rack with baking spray or wipe with oil to prevent the bacon from sticking. 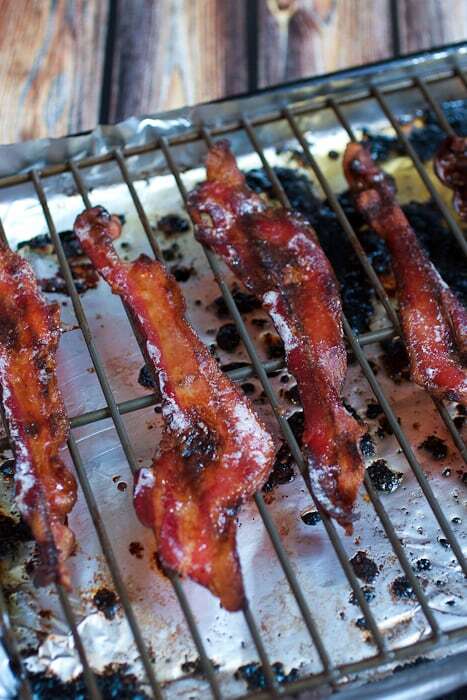 Line the bacon on the rack and sprinkle with the brown sugar and cayenne pepper. Bake for 15-20 minutes or until the bacon is crisp and brown and the sugar has caramelized on the top. 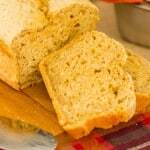 Remove immediately to a plate to cool. In a pitcher combine the tomato juice, lemon juice, horseradish, worcestershire sauce, hot sauce, salt and pepper. Stir well, taste and adjust salt and spice according to your preference. To serve: In a collins glass, fill with ice and pour 1 1/2 oz of bourbon in each glass. Fill with bloody mary mix and stir to combine. Garnish with the candied bacon and pickle spear, dilly beans and olives. 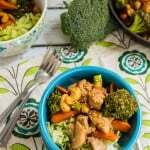 Let’s take a look at the rest of the reflections and resolutions #SundaySupper cooked up today. Cheers to you and I’m wishing you all the best for 2014! 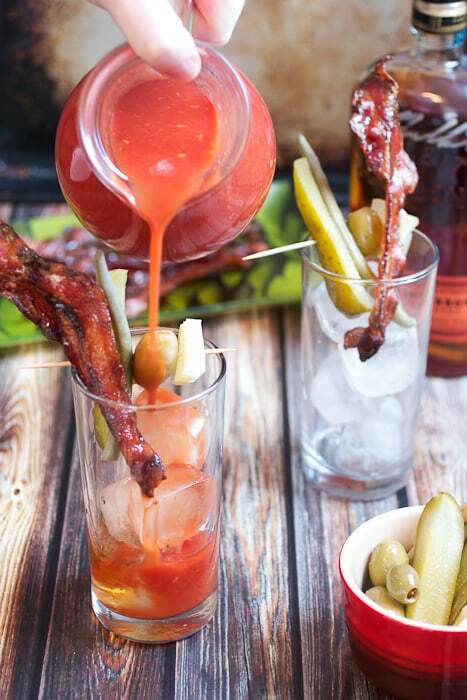 Now I’ve heard of people having bloody mary’s for breakfast….and here you go putting BACON in it!!! LOL Happy New Year! That’s a meal in a glass! Well done! I am over here totally drooling… this looks amazing! It has been such a pleasure watching you grow your blog in 2013. I am amazing at your beautiful photography. Kudos to you! Thank you so much for your support and friendship this past year. I loved meeting you and Braden this past year at the Food and Wine Conference. 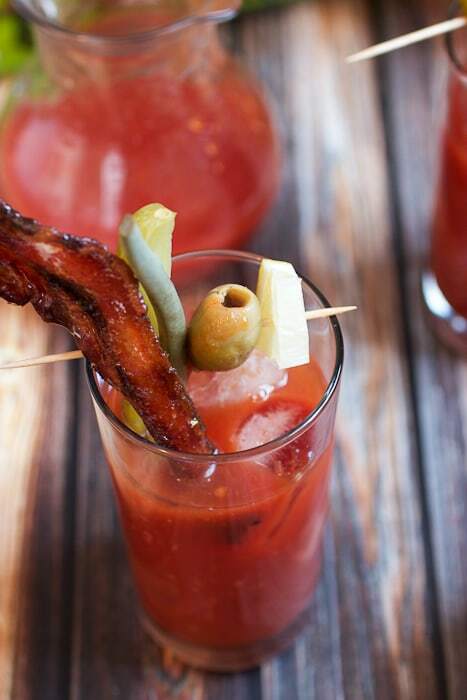 oh my gosh, this is the ultimate bloody mary – the candied bacon was such an inspired touch! Your cocktails have been awesome! I love a good Bloody Mary and I can not wait to try this one. 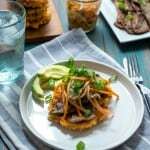 Mmmmm! A good Blood Mary today sounds perfect! Amazing Cocktail, Susan! Thanks Paula! Cheers and Happy New Year! 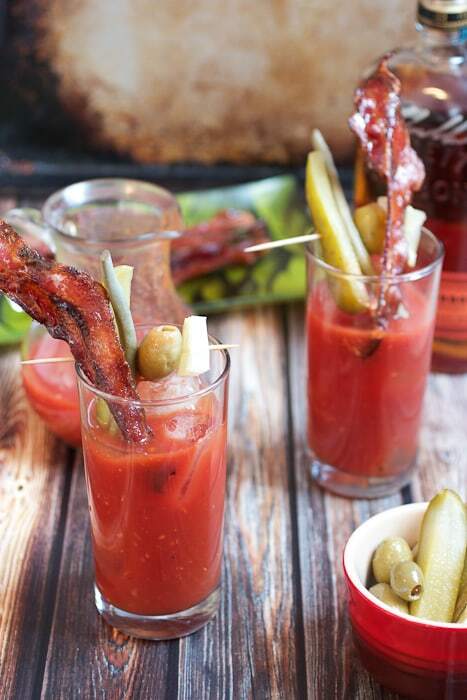 Oh, my gosh…your version of Bloody Marys looks crazy good. I think you’ve almost covered every food group here, so it could easily be a meal…LOL. Happy New Year, Susan! Breakfast in a glass! Now I see what I’ve been missing! lol! Great meeting you and your talented hubby this summer! Wishing you both, and your pug too, a wonderful new year! Seriously gorgeous drink! 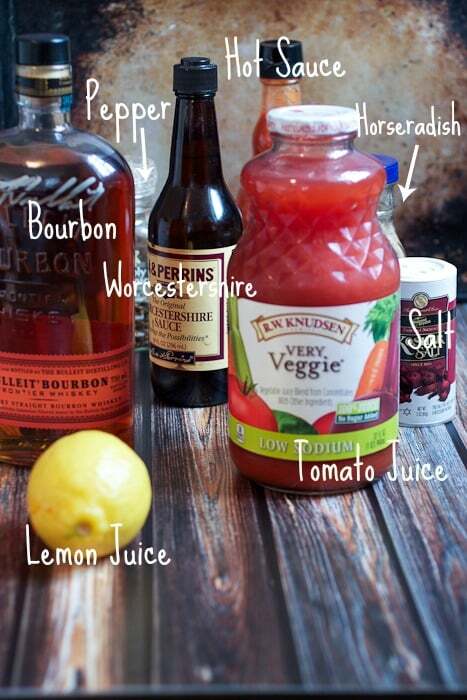 I’ve never been a fan of Bloody Mary’s but this totally makes me want to give them another try! Susan, these Bloody Mary’s look and sound absolutely out of this world. Perfection in a tall cocktail glass!!! What a fantastic drink!!!! This would perfect for a super-bowl party I’m thinking. I just love the candied bacon in it. Genius!! 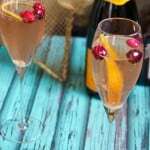 Cocktails are essential to celebrate the new year. While I don’t like Blood Marys, those who do would definitely enjoy this drink at a New years Day brunch! OMG!!!! I have never seen a bloody mary like yours! I need to make this! I can’t wait to share this with my bacon freak Husband! Happy New Years to you and your family!! I can think of a lot of people this would make very happy! Wowzer! I’ve NEVER seen a Bloody Mary that looks so great! I’ve only had a couple of Bloody Marys, but now you’ve got me wanting one! Happy New Year Susan!